Coloring hair is an age old trend. Be it modern day fashion or an old age necessity, dying hair is an integral part of our lives. But doing it at home can get extremely messy and all those drips and stains can look awful. We all think of seeking professional help, but not every time we land a the salon. Because of the easiness of applying dye at home, we tend to experiment it all by ourselves. Sometimes we can be flawless, but usually doing it without a stain on the skin needs skills. 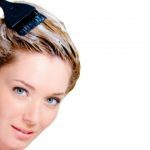 Let us read to know some effective home base methods on how to remove hair dye from skin. Though we take the basic precautions to avoid all that stain, sometimes it just doesn’t work and we get inked for all the wrong reasons. Dye on the skin can cause various allergies for a few individuals if it remains on the skin for a long span of time. Rather than just having it on like a patch on the skin, putting in effort and removing it will always be a good option. 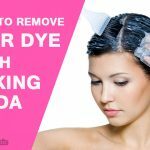 So despite all that effort, if you have dye on your skin then follow these tips and remove that hair dye from skin easily. Apply this paste onto your hair dye stain. Gently rub stain area using cotton pad to exfoliate your skin and remove color. Do this couple of minutes and finally wash the stain area thoroughly with warm water. Note: Keep it mind don’t let the baking soda or dish wash soap come in contact with your eyes. Finally wash your face with warm water and soap. Note: Lemon has acidic in nature when you rub on skin it can sting. If you’ll feel too much sting immediately wash your face with warm water. Olive oil is a good stain remover too. Apply olive oil around the hair dye stain and gently rub. Apply the oil on all the patches and leave it overnight. It would soak in all the color and the next day you could just rinse it off with water. 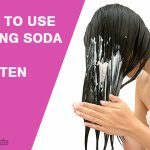 Apply a mild shampoo around the area to remove the oil completely. Note: Avoid getting this and all the above into your eye as it might cause severe irritation. Take a equal amounts of baking soda and apple cider vinegar and mix thoroughly to make a smooth paste. wait for 5 minutes then wash your face with warm water. Rub onto the hair dye stain using your finger tips/cotton pad for couple of minutes carefully. After you’ll notice the stain disappearing. Dip one end of the q-tip in the peroxide solution. Gently scrub the area with the dry end of the q-tip. Wait for a couple of minutes and then wash off with warm water. Note: if your skin starts to sting or burn while using hydrogen peroxide immediately wash your face. Rub for about 5 to 10 minutes till the stain becomes lighten. Note: If you are using an alcohol-based makeup remover to remove hair dye stain, ensure to moisturize afterwards as these can dry out your skin. Finally wash your face with warm water. Note: Remember not to let the nail polish remover stay on your skin for more than a minute and do not let it come in contact with your eyes. Wait for 5 to 10 min then wash your face with warm water using wash cloth. Note: Use new tooth brush only for the above process and also use a toothbrush with soft bristles. This in fact is the most successful product in removing dye stain from the skin. But this is just not meant for the face. Facial skin is soft and tender and can easily get damaged with the use of these chemicals. So except the face WD-40 can do wonders. Spray some of it in a cotton ball and apply it around the patches. Wipe it off and your patch will vanish. If you are unable to tackle this issue all by yourself, then the best thing to do is seek professional help. They would know how to remove the stain without affecting the skin or hair. 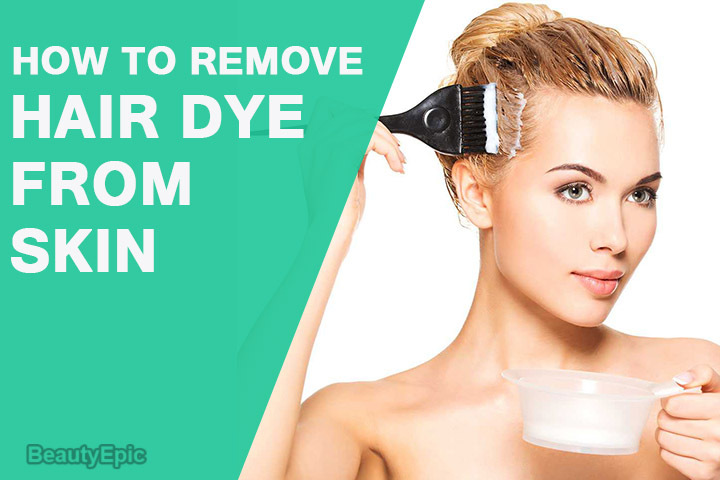 Now, that we wind up with these methods of removing the dye from skin, we hope you can avoid all the staining in the best way you can. And just in case you get inked, you can stop the struggle and get the dye off from your skin right away with our remedies! 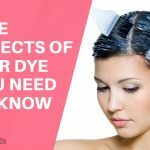 If you have dye on your skin doing it without a stain on the skin then follow these some effective home base methods on how to remove hair dye from skin.